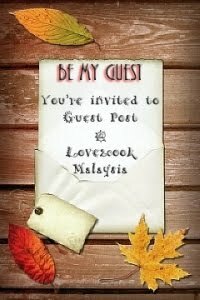 A quick post for today!!! Marinade ingredients A for 15 minutes. 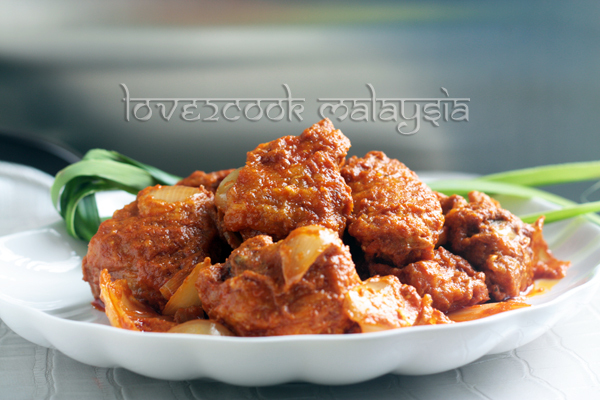 Coat chicken pieces in cornflour and deep fry in oil until golden brown. Set aside. Heat oil, saute the blended paste until fragrant and oil parts. Add onion and stir. Add sufficient water, sugar and salt. Allow to boil. 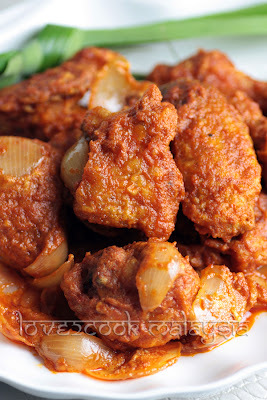 Add in fried chicken pieces, mix well. Let simmer for 2 minutes and turn off the heat. Add mayonnaise and mix evenly. Dish out. 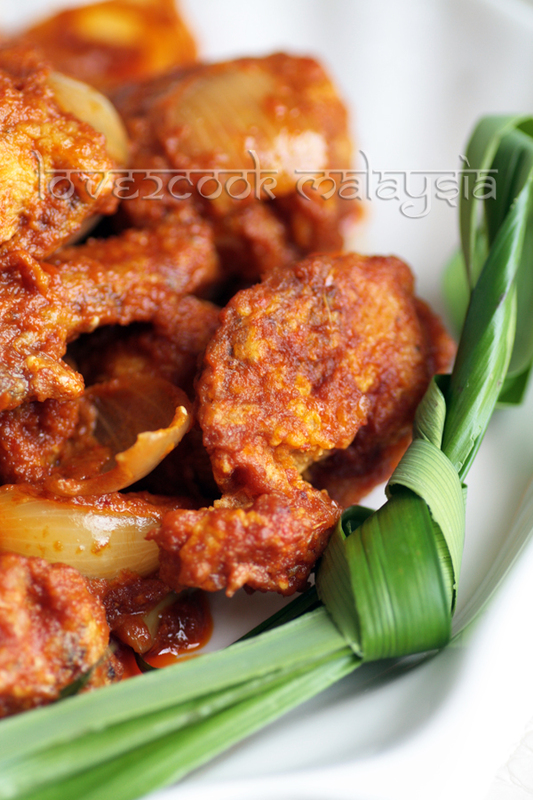 Chicken sambal looks so tempting and delicious. Hai dearrrr...waaa lamanya kmaz xsingah dpur love..ye la kmaz pun lama brtapa sblum ni..bungkus dpurr..hehee..look really yummyyy ur ayam smball..sdpnye mkn nga nsi lemak tuuu..plsss tapau skit utk kmaz nk bwa blik...mai jauh2 ni..laporrr..
Hai love..wah lama sungguh tak hai2 kan Akak ada juga masuk dapur love,Tapi asal nak tinggal komen,punya la slow internet ni.Hari ni baru dapat.Sedap ayam tu. OMG..pass that bowl dear....so tempting and mouthwatering chicken. 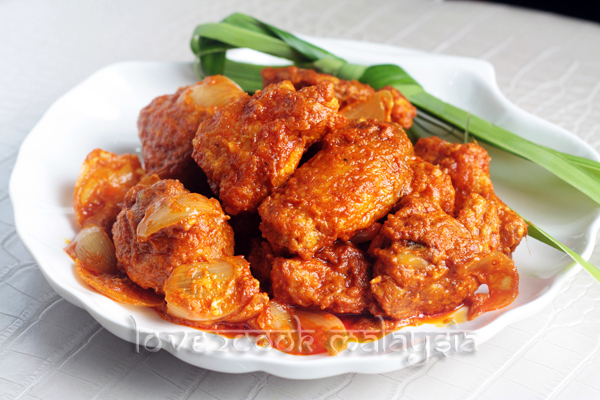 love.. sedapnyer... wat pedas2 mmg lagi sedap nii..
Lovely chicken preparation. Look simply mouthwatering. Looks super droolworthy and seriously makes me hungry.. This look good. Must be a favourites for the kids, teenagers and the parents of course.